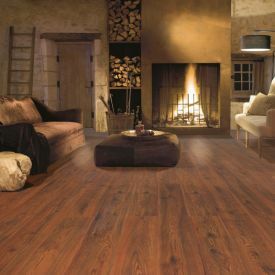 The dusky look of Gerbur-Evening Oak Oiled-Laminate floor, provides an understated background for your contemporary home with elaborate designs and decor items. 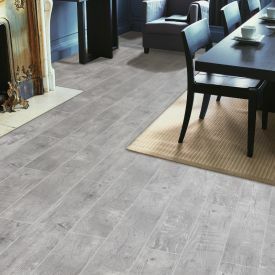 This Grey floor is very much in Vogue and unbelievably realistic with its match registered embossed surface, matt finish and Oak effect. 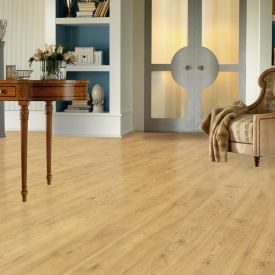 This floor with its clean and airy appearance is also Allergen Free and as its smooth surface does not absorb any dust like carpets. 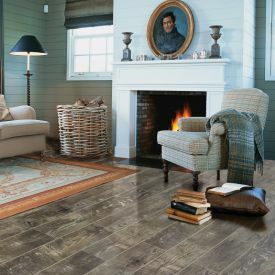 The strong, scratch-resistant, and highly durable features of this floor make it a great choice for high traffic areas. 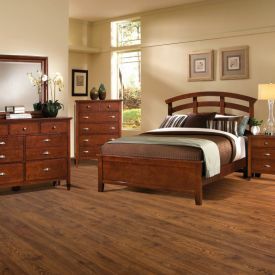 Another interesting fact in the history of laminate flooring is that for the first 20 years or so there was only this tongue and groove construction, where you put the groove in there and glue it together. Today, the famous UniClic Patented technology, offers Easy installation as a floating floor and does not need to be glued or nailed down.